Saturday night, my husbands parents came over to watch the kids because we had a wedding to go to. I was a little apprehensive about going because I really didn't know anyone very well. I know...I'm a little weird like that :) It was a beautiful snowy day. Perfect day in my opinion to get married. The wedding colors were Blue, Silver and White, with snowflakes and Christmas Trees. Being at the reception with the snow falling outside and the decorations inside began to bring wonderful memories for me. Ya see, my hubby and I got married 8 years ago tomorrow on a beautiful snowy night. Our colors were Silver and White. We too decorated with Snowflakes, White lights and Christmas trees. We had a lovely evening. Shawn's co-workers were so sweet and we had good conversation and a lot of laughs. The best part of the night was getting to dance with my sweetheart. It's been way toooo long! On Sunday, we had my mom's surprise 50th Birthday Party. I knew she wouldn't want a big embarrassing party....so I just secretly invited our immediate family to go out to dinner together. 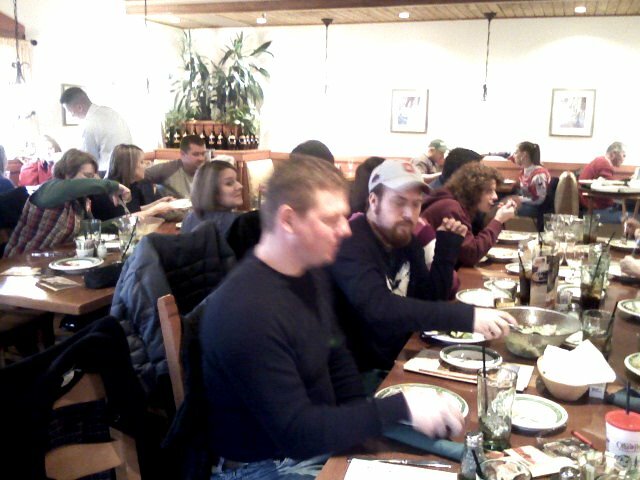 There were 19 of us who met at the Olive Garden. Mom was shocked! Grace always loves a good party! Gauge does to, but last night he just wasn't himself. Started getting a fever and all he wanted to do was snuggle up on Mommy or Mamaw. 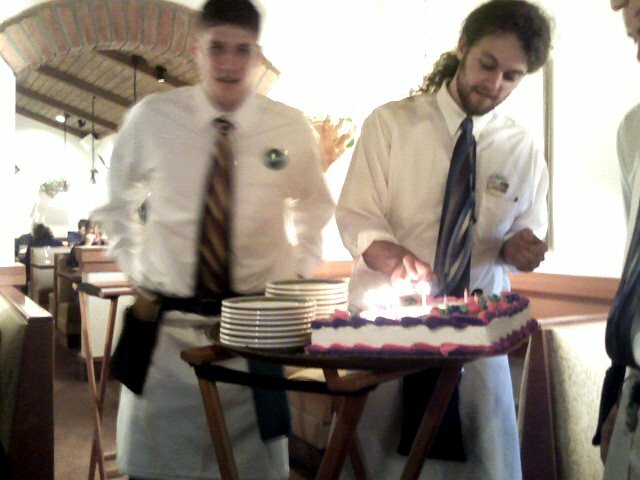 The waiters were awesome at the Olive Garden. Ya never know sometimes when you have such a large group. They were like a well oiled machine, and so sweet! We had brought our own cake. They were willing to take it back in the kitchen then bring it out and sing to her. 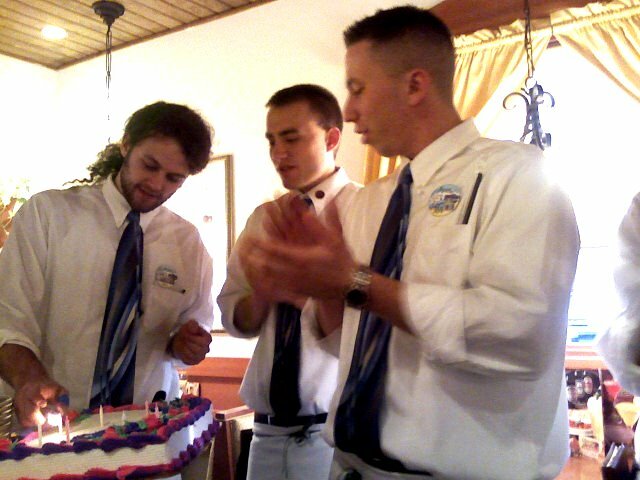 They even volunteered to cut the cake and serve it for us! I love nothing more than spending time with my family. 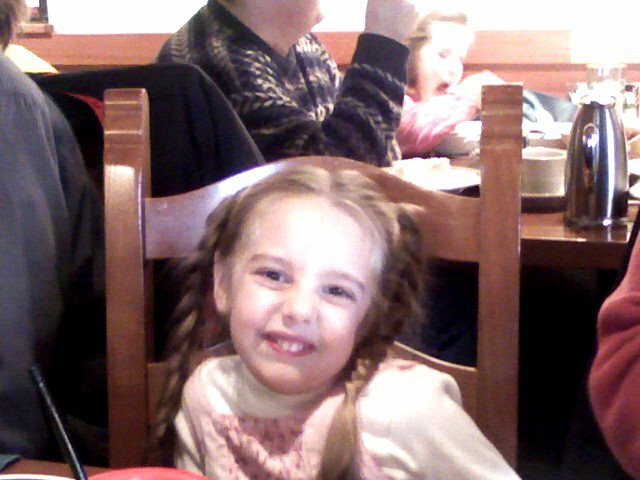 I have the best Aunts, Uncles, Cousins and Grandparents. The other big event of the evening was when my cousin Mandy announced that she is going to be having a little boy! I'm so excited to have some more babies in the family. Today was anticlimactic. I am home with a sick little boy :( Last night he woke up crying about 3 times after we put him down. This never happens. He is usually such a good little sleeper. 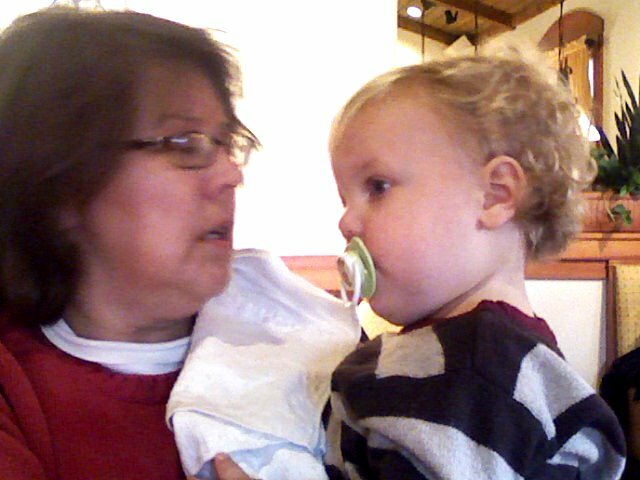 He had a fever at the restaurant, but that went away once he got some Tylenol. Not sure what's going on with him. Could be lingering side effects from the shots he got at the Pediatrician last Wednesday. I'm crossing my fingers that he feels a ton better when he wakes up from his nap today. Sounds like you had a wonderful weekend despite your little one coming down with a bug! Hope he's feeling better soon. HAPPY ANNIVERSARY. You must have had a gorgeous wedding. Thanks for sharing all the pics of your weekend. 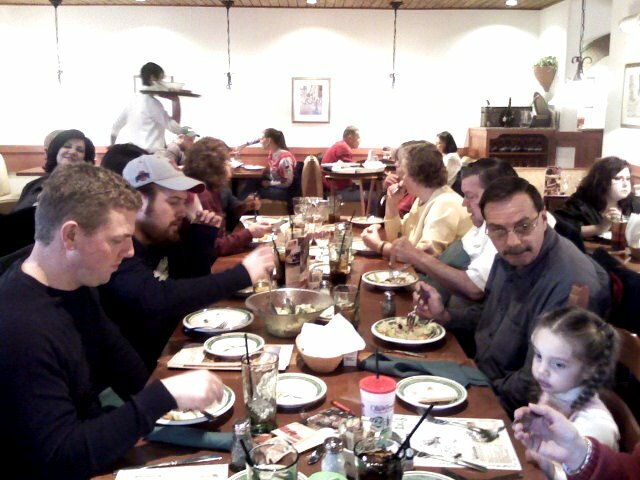 And yeah, Olive Garden *is* awesome about accommodating guests party plans. 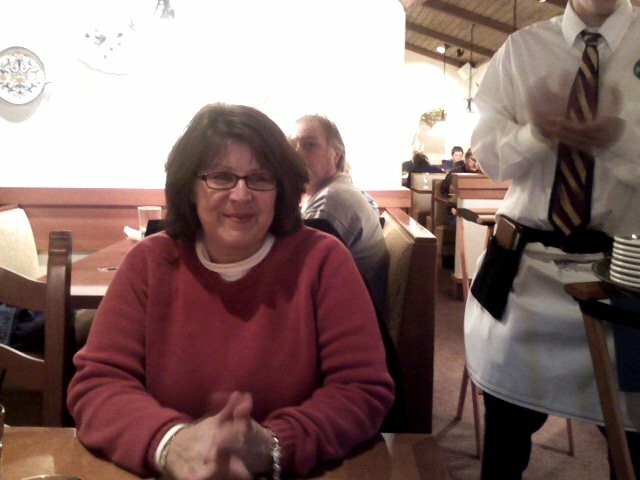 We've had two birthday dinners there and they were just the icing on the cake when it comes to perfect service! Linked from SITS...just picked several random comments and started clicking away. Will definitely be back!